On a cloudy autumn morning 75 years ago, the inhabitants of Rome’s Jewish ghetto were abruptly awoken by the sound of heavy footsteps, doors slamming, and the barking of orders in a foreign accent. At 5:30 a.m. on October 16, 1943, 300 German soldiers began their hunt and round-up of Roman Jews while their victims were still blissfully asleep, expecting a usual Shabbat morning. It was not to be. By 2 p.m., SS Commander Herbert Kappler’s anti-Jewish operation was complete. After being held for 30 hours, the 1,022 Jews who were arrested in the raid were sent from Rome’s Tiburtina train station to Auschwitz-Birkenau. Just 16 of the victims — 15 men and one woman — returned home two years later. Among them was Lello di Segni, the last remaining survivor of that deportation, who died on October 26 at the age of 91. Born on November 4, 1926, Di Segni was the eldest of the four children of Cesare De Segni and Enrichetta Zarfatti. He attended an interfaith, mixed school until 1938, when Fascist racial segregation laws were passed. The family lived in a house on Portico d’Ottavia — a street in the historic Jewish ghetto along the Tiber River. 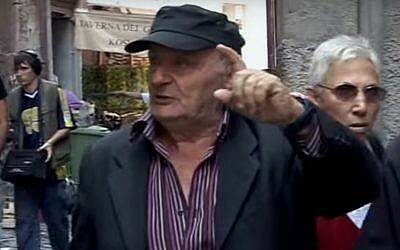 In a 1995 interview with historian Marcello Pezzetti, Di Segni recounted how on the evening of October 15 German soldiers warned the local Jews not to leave the neighborhood. They discouraged any attempt to escape, Di Segni said, by spraying automatic gunfire at the outer walls of neighborhood homes. 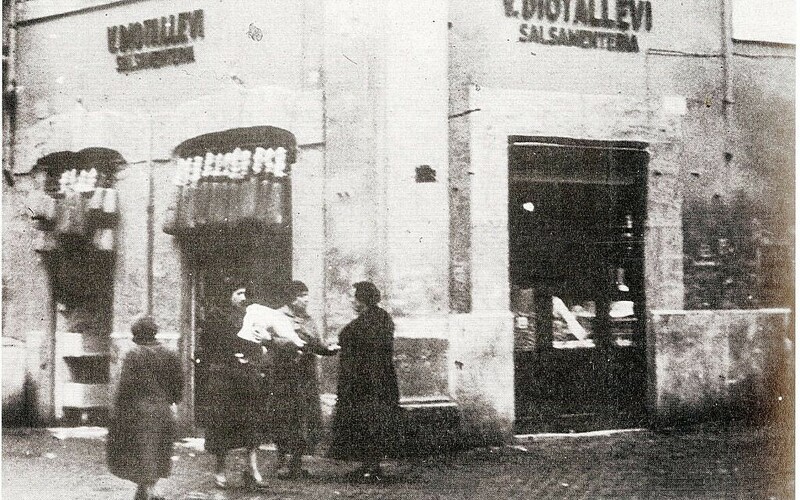 A family bakery/delicatessen shop on Portico d’Ottavia, 1921. (Courtesy/ Press Office of the Jewish Community of Rome) Indeed, despite the fact that an armistice between Italy and the Allies had been signed that September, many Jews opted to remain in Rome. They were lulled into a false sense of security, having paid an ostensible “ransom” of 50 kilograms (110 lbs) of gold to the Germans on September 28 in order to avoid handing over 200 people for deportation. Deceived by the Germans, the Roman Jews were deported regardless; the identification number given to each concentration camp prisoner burned forever into the forearms of the survivors. During Di Segni’s internment in Auschwitz and then Dachau, he was known only as “158526.” Deported with his entire family, he was the only child to survive, along with his father Cesare, who was sent to work in the coal mines of Upper Silesia. “Like a horse, the number pinned to my clothes said that I was nothing but a beast,” Di Segni told Pezzetti. 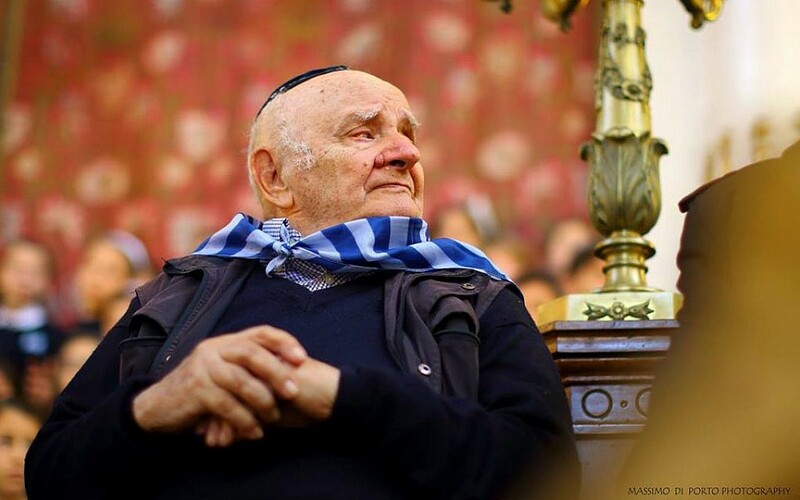 After 30 days in Auschwitz, Di Segni was transferred to the Warsaw Ghetto, where he was responsible for the removal of debris and rubble, as well as the construction of new crematoriums and gas chambers at the Warsaw concentration camp. As soviet troops began to advance on the Eastern front, however, Di Segni was sent to the sub-camp of Allach, and then Dachau, where he was eventually freed by United States forces. Di Segni was among the 2,489 Jews arrested by the Nazis in Italy. 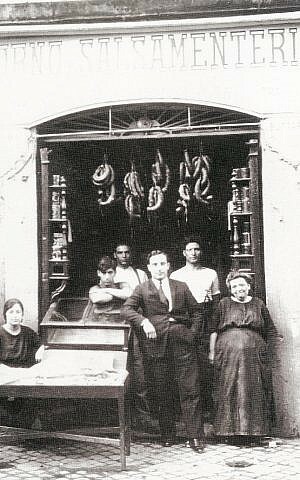 Though in Rome local residents were often uncooperative with deportation efforts against the Jews and police were deemed unreliable, throughout the country 1,898 more Jews were arrested by Italians. An additional 312 were arrested in joint actions by both forces. There is no evidence for those responsible for the remaining 2,314 arrests. In a phone interview, Aldo Pavia, vice president of the National Association of Italian Political Deportees to Nazi Concentration Camps — and himself the son of deported Jews — told The Times of Israel that once back in Rome, Di Segni was silent about his ordeal for years. Di Segni wanted to return to his normal life, forget what he had seen and endured, and was afraid that people would not have even believed his story, Pavia said. “Our friendship went beyond his experience in the camps. I was fascinated by the way he described the atmosphere in Rome in the years preceding and following those tragic events,” Pavia said. He added that the roundup on October 16, 1943, had a strong impact not just on the Jewish community but also on the entire city. Pavia underlined how Di Segni used to downplay his role as a witness, saying that his testimony would, after all, have just added to what was already said by his cousin Settimia Spizzichino. Spizzichino was the one woman among those 16 survivors who returned to Rome, and became a leading Italian figure in the testimony of the crimes committed during the Shoah. Di Segni also wrote a book, “Buon Sogno Sia lo Mio,” or “I Hope To Have Good Dreams,” whose title was inspired by a little prayer Di Segni’s parents taught him to say before going to sleep, Pavia said. Leaders of the Italian and Roman Jewish communities mourned the loss of Di Segni. “With his loss, we lose the memories of those who suffered the October 16 raid and survived to tell us about it,” said Ruth Dureghello, president of the Jewish community of Rome. “As people disappear, we fear that their testimony will disappear as well,” said fellow Holocaust survivor and Italian senator for life Liliana Segreduring a conference at Gelasio Caetani High School in Rome. Rome’s Mayor Virginia Raggi also posted her message of condolence on Twitter. 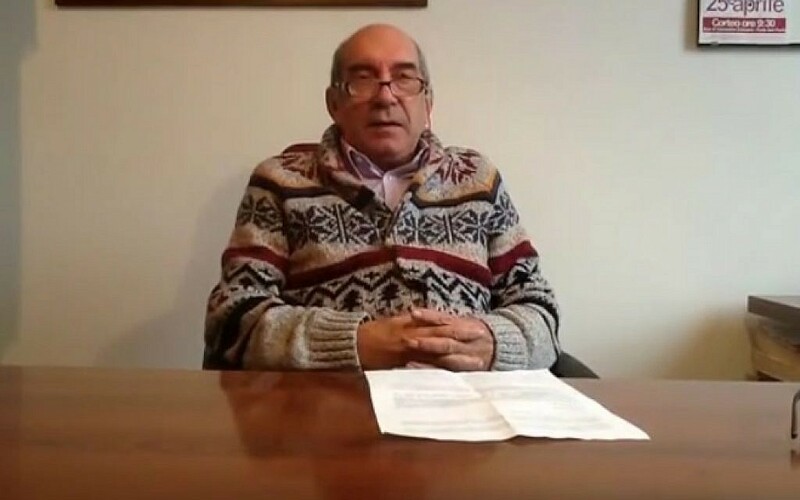 Segre, who like Di Segni has embraced the mission of bearing witness to what Jews endured under the Nazis, commented earlier this month on the climate of hatred that seems to have emerged in Italy in last few months. In fact, according to the Antisemitism Observatory, anti-Semitic incidents in Italy have increased considerably over the last four years. In 2018 alone, there have so far been 159 episodes, including racist graffiti and social media posts. During the October 29 neo-Fascist rally at Benito Mussolini’s burial place in Predappio, political activist Selene Ticchi — previously a mayoral candidate in the city of Budrio with the far-right New Force party — wore a t-shirt emblazoned with the word “Auschwitzland,” comparing the death camp to an amusement park. According to Pavia, a collective memory must be built through a combination of historical documentation, education and the explanation of not just how, but why certain things happened, with an emphasis on those responsible. Pavia said that Di Segni’s most vivid memory was probably the moment when, unable to stand on his feet, he was carried out of the wooden barracks in Dachau by his fellow inmates and realized that the camp had been liberated by US troops.